Partial accesibility for people with mobility impairmaints and great for people with hearing, visual and food special needs. I had a quite indescriptible amount of feelings in El Barracas Tango show in Buenos Aires. The wonderful experience of feeling in the forties or fifties, the feeling of being a foreigner in my country, in my city and even in my neighbourhood was truly amazing. There is a step to enter and there are no accessible toilets for a person going with a wheelchair. There is a women's toilet in the ground level and a men's one in the first storey. The manager told me that when there is a man with reduced mobility he can use women WC upon a waitress supervision. It is very important to remember that a person in a wheelchair can not expect to go to the toilet in 5 hours counting the time of transfer in and out from hotel to the show. As it is a historical building they had to go through red tape to make a new WC. The place is a wonderful restored bar, where the famous movie called SUR, winner in the CANNES Festival, was filmed. 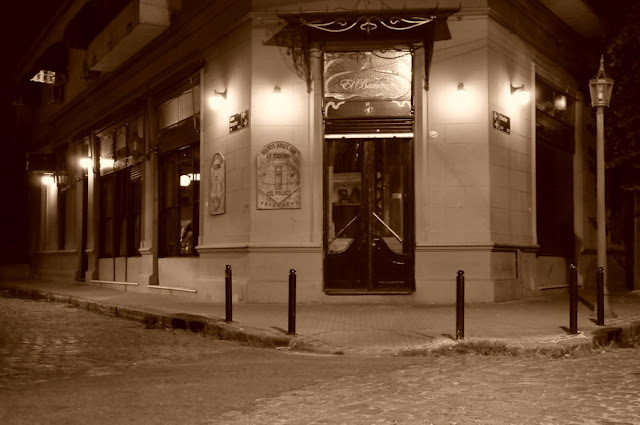 It was also the bar where 'polaco Goyeneche' used to sing and the frst place where Adriana Varela, famous tango singer, started her career. It is located in the historical Barracas neighbourhood, which most of the times is overlooked by many tour guides and it has lots to do with the other two very famous ones La Boca and Monserrat. The food is great. Iñaki Goldin, formerly the chef of the Buenos Aires Four Seasons Hotel is young and open to new food trends. He is also taking into account accessibility in food matters. He said that he would have no problems in providing food choices for people with special needs such as being celiac, diabetic or hipertense. 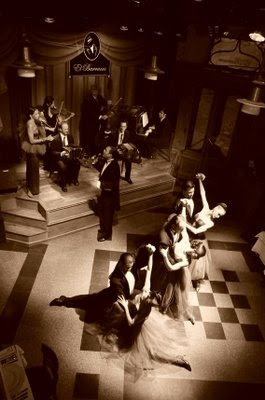 Another innovation is that after every course there is a tango show, that makes the whole experience one of neverending. As it is in front of a train station sometimes it feels that is raining, but when you rise your eyes you see the rails as if you were by the Chicago down town train. There is always a clear view of the wonderful dresses, shoes and men night suits. As it can only sit 75 people the place is cozy, singers and dancers come from different places always near from somebody. The quantity of guests that can attend the show make it a vip one, more expensive than others but it's totally worth it. Update: El Barracas is no longer in function, it is a real pitty, great location. I did not remove this post from the blog because is one of the little ones in English. I have lots of friends and followers that are not Spanish Speaking people. I keep on saying that, this blog is in Spanish because there is way more need of info about accessibility in Spanish than in English. I also sometimes write in Portuguese, just in case that, that language fits you better.